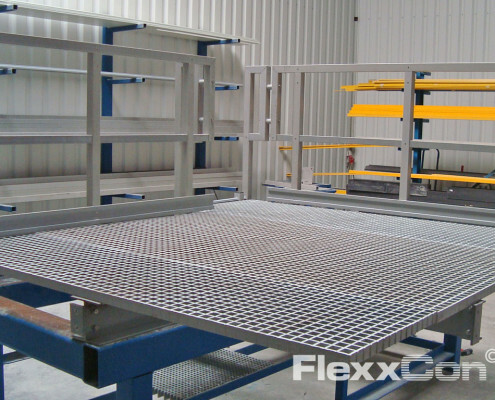 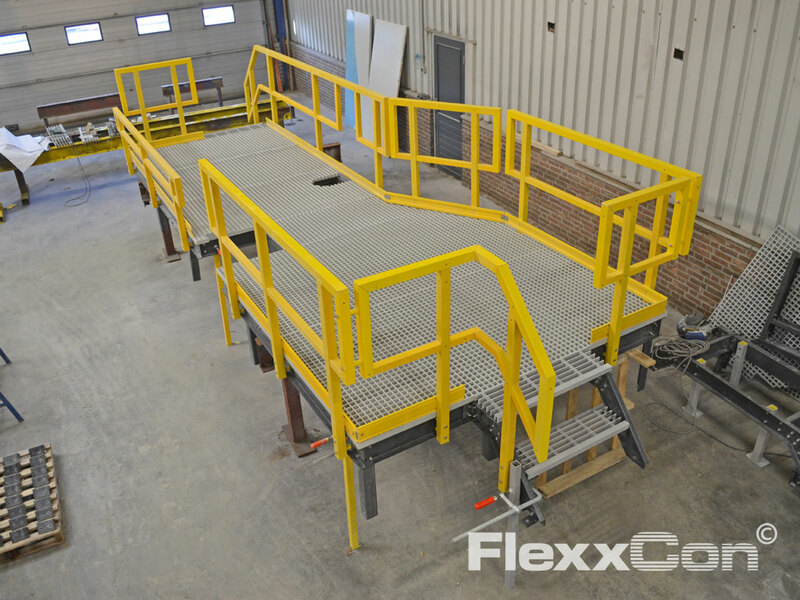 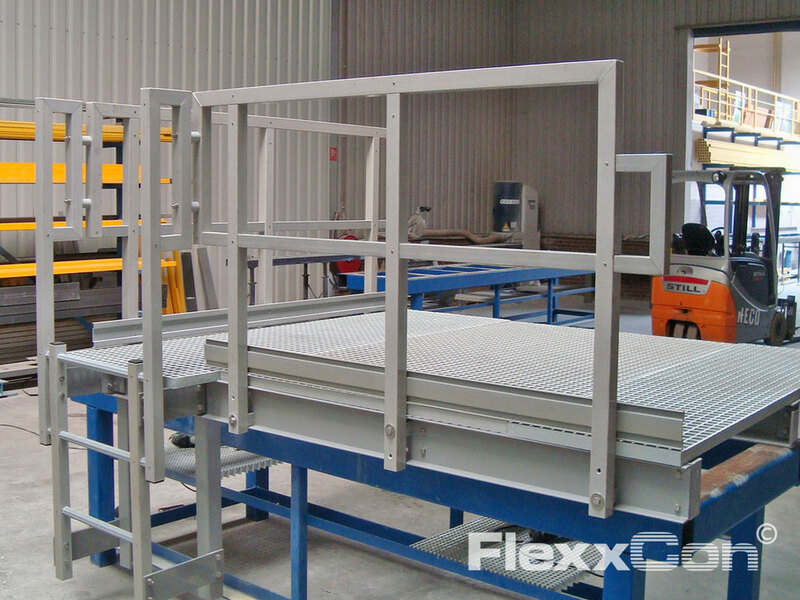 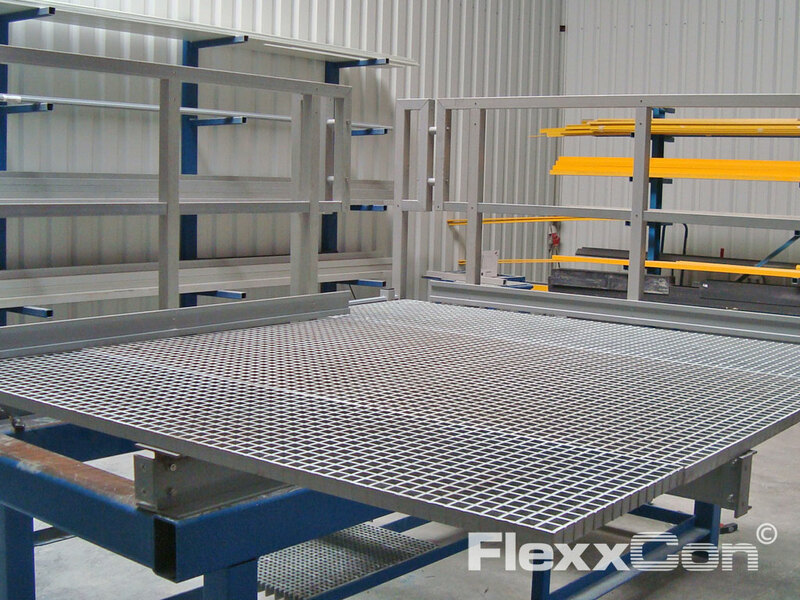 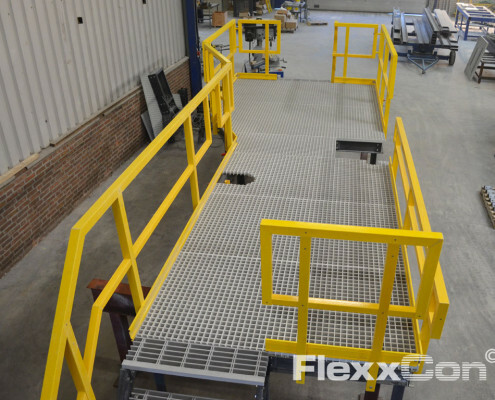 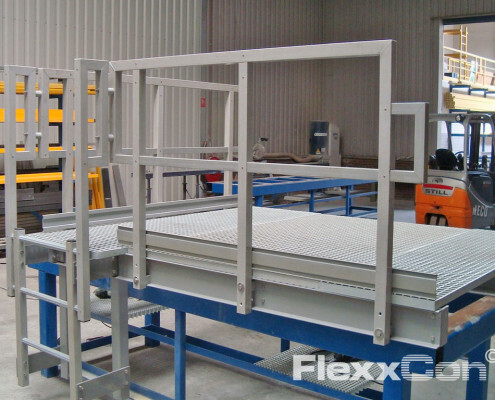 Fibreglass Reinforced Plastic (FRP) landings are used in many different industrial sectors. 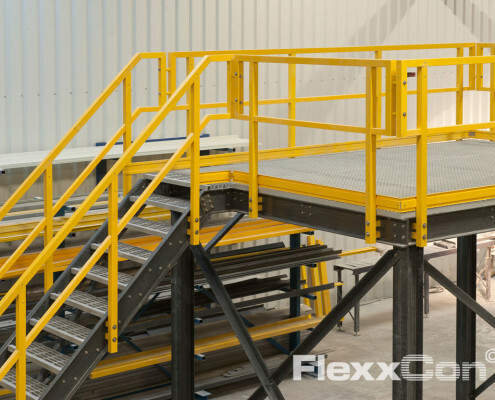 Because a FRP landing offers many advantages compared to the more traditionally used landings made of, for example, steel and wood. 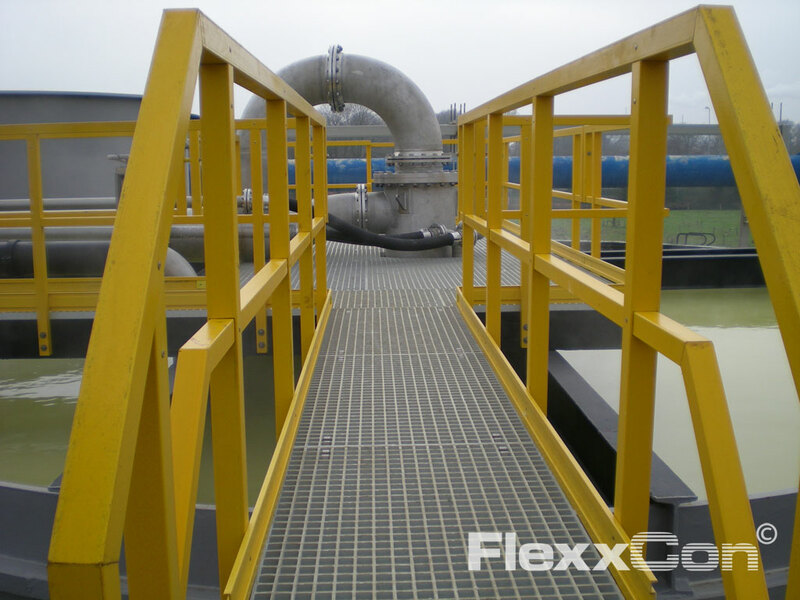 Fiber Reinforced Plastic is high in strength, corrosion-resistant, lightweight, has a long service life and especially the FRP grating and stair treads are safe in use: nonskid and superb anti-slip properties. 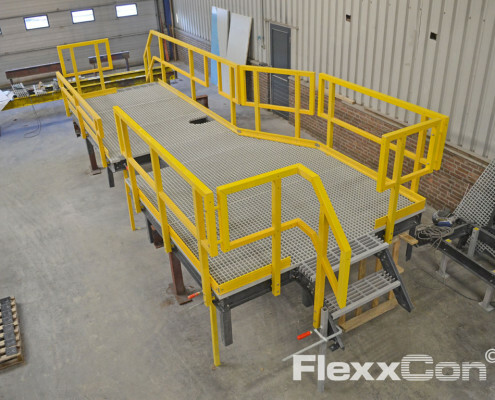 loading floors, loading platforms, etc. 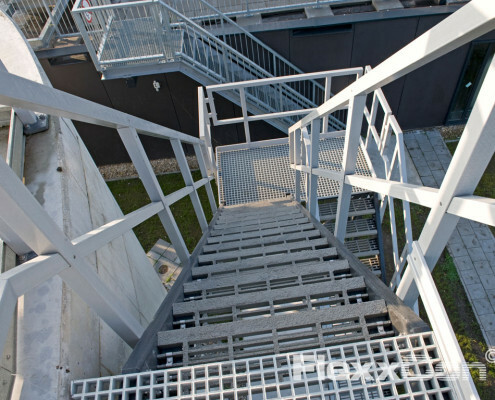 A landing (intermediate landing) is a platform that breaks up a staircase or where the staircase possibly changes direction. 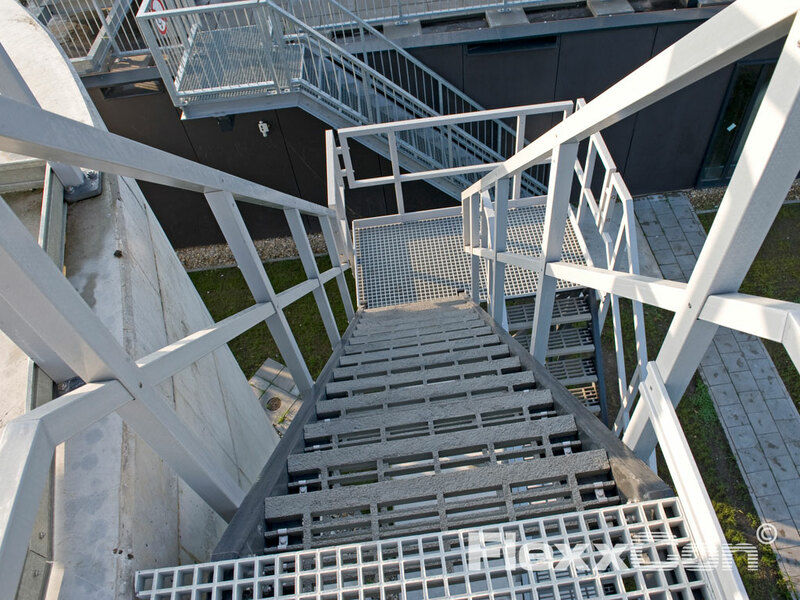 A dogleg staircase is a staircase that is interrupted by 1 or several landings. 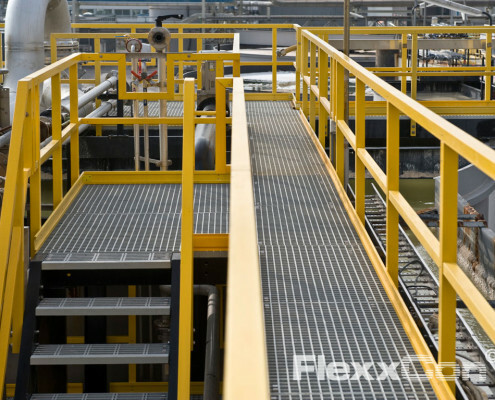 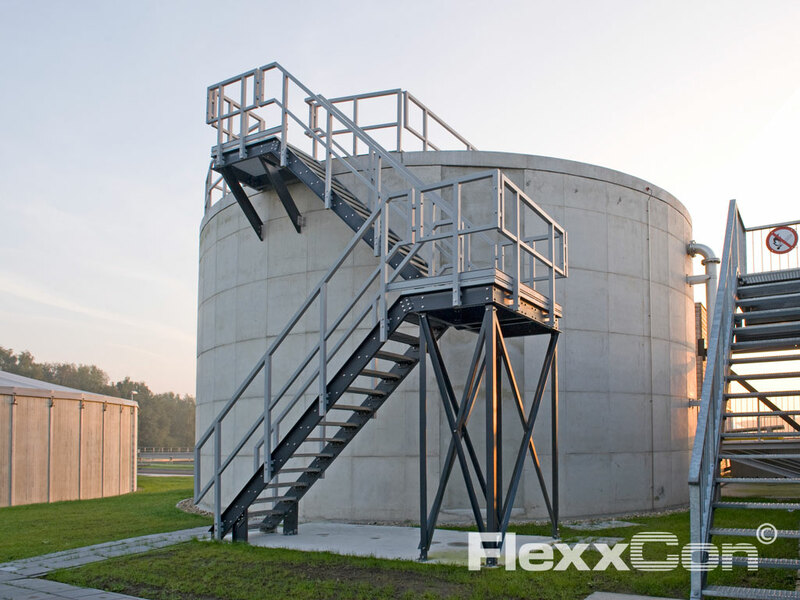 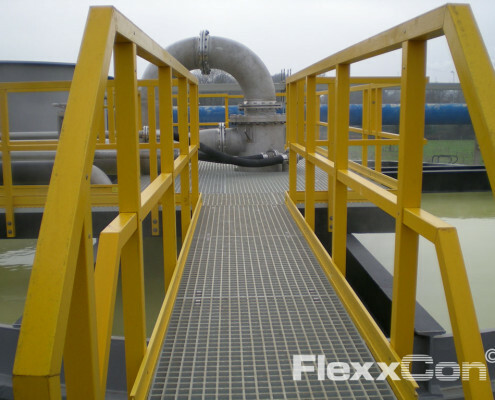 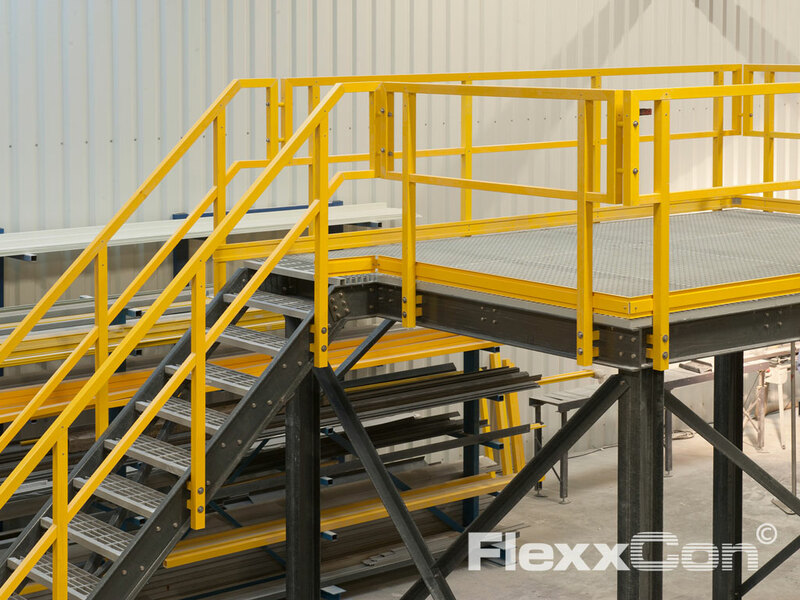 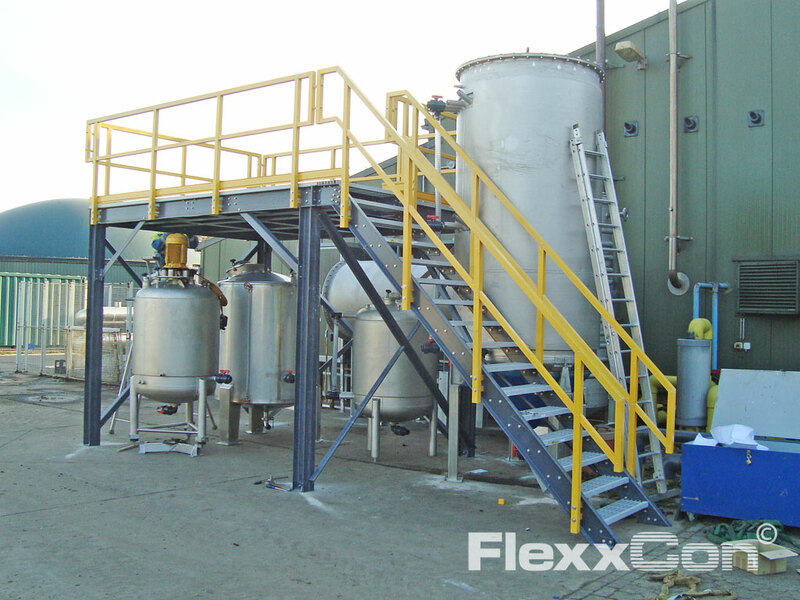 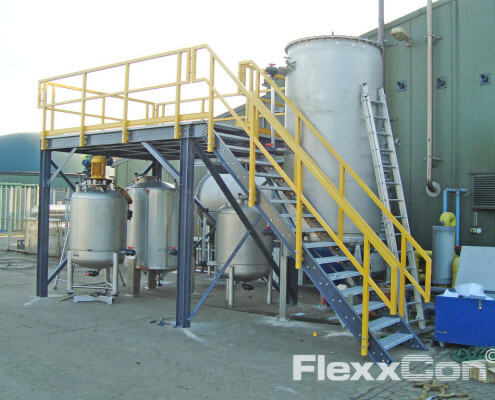 Not only does FlexxCon supply Fiber Reinforced Plastic (FRP) landings, it also supplies various types of FRP dogleg staircases. 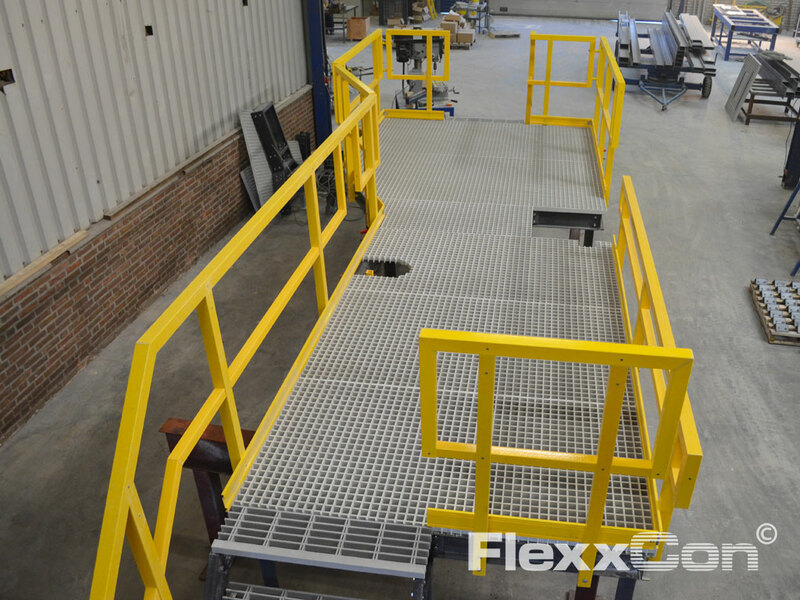 The dogleg staircases are fitted with special Fibreglass Reinforced Plastic stair treads which are extremely nonskid and have excellent anti-slip properties. 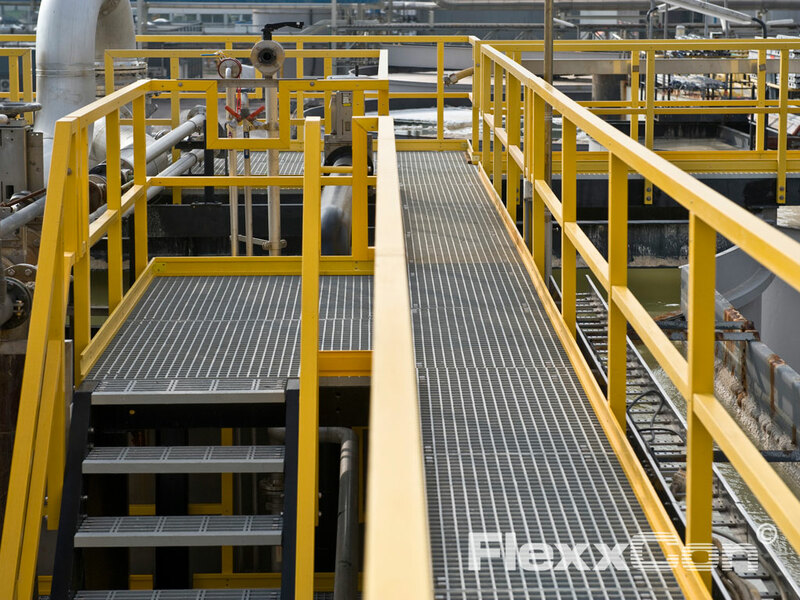 FRP landings and dogleg staircases: high in strength, durable, maintenance-free and safe! 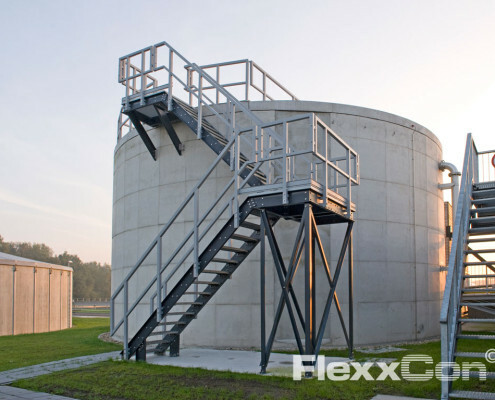 Do you have questions or do you want more information?